PENANG, Malaysia, Jan 31 2018 (IPS) - With floods now causing more damage more frequently around the world, it is time to counter their effects by turning our towns into “Sponge Cities”, a recent trend popularised by China to absorb rainwater through permeable roads and pavements, parks, rooftop gardens and other green spaces. 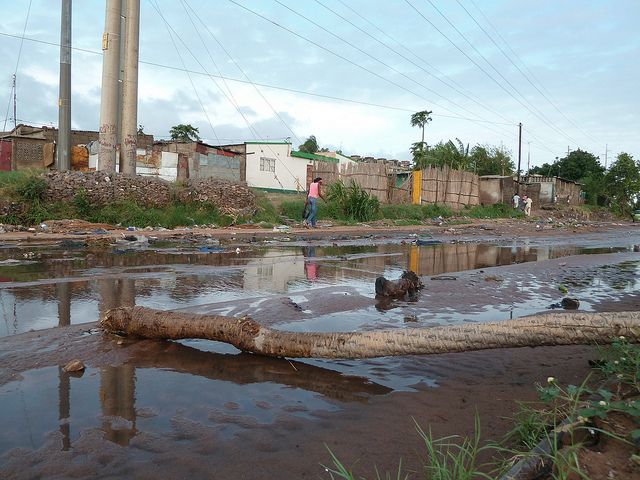 Floods causing huge loss of lives, homes and other property have increased significantly in many parts of the world. This is attributed to more intense rainfall resulting from climate change. But manmade factors, especially urbanisation and the chopping of forests and trees are also to blame. So far the Chinese cities have received over US$12 billion for sponge projects. The central government funds 15-20% of costs, the rest is funded by local governments and private developers. The expenses of the sponge city initiative is not insignificant. But it is less than the estimated US$100 billion of direct economic losses due to floods in China in 2011-2014, plus the human lives lost. Scenes of the havoc caused by flooding, such as swollen rivers bursting their banks, and roads, houses, prominent buildings and motorcars submerged in water can now be seen frequently around the world. Ordinary members of the public, who are the main victims, and policy makers alike, are now looking at the causes and searching for solutions to urban flash floods. In Penang, Malaysia, flash floods have been occurring recently with unprecedented frequency and intensity, with three major incidents in seven months last year. Recently I attended an interesting dialogue on the floods between civil society groups and local government officials. At the same time, I came across several articles on the concept of “Sponge City.” Most of them were on how China is turning 30 of its flood-prone urban areas into “sponge cities” in order to prevent floods and retain rain water. The Chinese plan big and fast. It launched the sponge city project only in 2015, but they target that 70% of rainwater will be retained in 80% of urban areas by 2020. The “sponge city” concept will likely spread rapidly as key to the global efforts on climate change adaptation, with the goal of reducing the impact of increased rainfall and floods. The sponge figured prominently at the NGO-government dialogue in Penang. Malaysian scientist Dr Kam Suan Pheng introduced it when explaining the causes of the recent months’ big floods. She contrasted what happened previously with the present situation when rain falls. In the past, 50% of the rain seeped through the natural ground cover (trees, grass, etc) into the ground, there is 10% water runoff (to rivers and drains) and 40% evapotranspiration (water goes back to the atmosphere). The natural ground cover acts as a sponge to absorb the rainwater which infiltrates the soil, and prevents the water from becoming flash floods. Presently, due to urbanisation, the green spaces have been paved over with concrete and only 15% of the rainwater infiltrates to the soil, while the runoff has expanded to 55% and evapotranspiration is 30% of the total. The sponge now absorbs only 15% of the rainwater compared to the previous 50%. Given this analysis, a key part of tackling flood woes is to reverse the loss of the sponge. In recent decades, Malaysia, like most other developing countries, has seen the conversion of a lot of farms, parks, grass areas and trees into “concrete jungles” of roads, houses, commercial buildings and car-parks. With urbanisation resulting in hotter temperatures, deforestation and floods, there should now be high sensitivity of policy makers and urban planners to the valuable environmental and economic roles of trees, gardens, parks, fields and grass-lands. Having towns filled with trees and gardens, and integrating this as a priority in urban planning, should not be only be an aesthetic goal, but recognised as a vital part of economic and social development. This is where the concept and practice of “sponge cities” comes in. An internet search on this term will find many recent news reports applauding the Chinese initiative to counter its floods and increase its water security by building up the natural cover or sponge in its cities. In 2010, landslides from flooding killed 700 people in three-quarters of China’s provinces and last year rains flooded Southern China, destroying homes and killing around 60 people. In 2015, China launched the Sponge City initiative which now covers 30 cities, including Shanghai, Xiamen and Wuhan. The target: by 2020, 80% of its urban areas will absorb and re-use 70% of rainwater. Build community gardens and parks to expand green spaces. Construct manmade lakes and preserve agricultural land to hold water. “In the natural environment, most precipitation infiltrates the ground or is received by surface water, but this is disrupted when there are large-scale hard pavements,” said Wen Mdei Dubbelaar, water management director at China Arcadis, giving a rationale for the sponge city concept, in words similar to Dr. Kam’s. 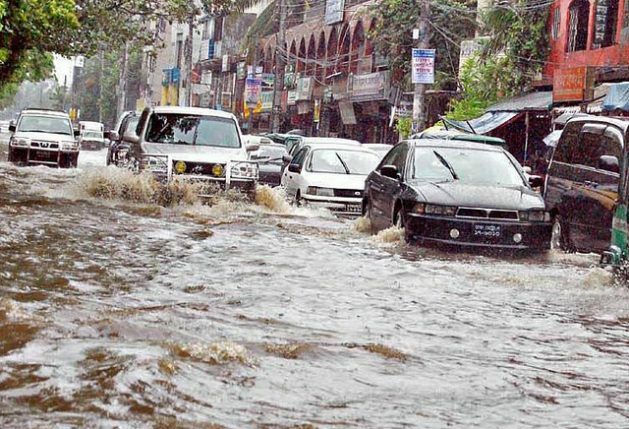 “Now only about 20-30% of rainwater infiltrates the ground in urban areas so it breaks the natural water circulation and causes water logging and surface water pollution,” said Wen in an interview with The Guardian (London). In Shanghai’s Lingang district, the streets are built with permeable pavements, there are rain gardens filled with soil and plants, buildings feature green rooftops and water tanks, and a manmade lake controls water flows, reports the Guardian. Prof Hui Li at Tongji University said the first thing to do is to preserve or restore natural waterways as that is the natural way to reduce flooding risk. In Wuhan, the problem is that a lot of small rivers were filled in during building. But Lingang still has agriculture land and a lake to hold more water during heavy rain. What about the cost factor? So far the Chinese cities have received over US$12 billion for sponge projects. The central government funds 15-20% of costs, the rest is funded by local governments and private developers. The expenses of the sponge city initiative is not insignificant. But it is less than the estimated US$100 billion of direct economic losses due to floods in China in 2011-2014, plus the human lives lost. Other countries besides China have also adopted the sponge city idea. For example, the German capital Berlin is also aiming to become a sponge city. It plans to build vertical forests of trees and plants attached to apartment blocks, among other projects. Sponge cities are the way to go for the future. They will be seen to make both environmental and economic sense, as well as improve social conditions, especially as floods get worse due to climate change. Governments in developing countries should consider this option seriously.